Don’t call it a comeback. Apple TV has been here for years. The Apple TV box itself looks pretty much the same. It’s a little taller than the original and packs in more storage and processing power. The most notable hardware difference is the remote, which has gone years without an update. It now looks much more like a traditional remote with buttons for menu, home, volume, Siri, and play/pause. What isn’t included in many remotes these days is the touch sensor built into the top of the wand. Swipe your finger across the top, and you can move through menu option icons. It’s certainly responsive, but I couldn’t really say it worked better than a traditional button. The remote’s battery will last for three months and connects to the Apple TV via Bluetooth 4.0, so you don’t need to point it at the Apple TV to make it work. The remote is well suited to the Apple TV’s new interface, tvOS, which sadly will not be available to existing Apple TV owners. TvOS is definitely a step up. Apple TV’s interface has languished for years with only the smallest changes. But the update streamlines menus and accents Apple’s existing content. It also provides more space for its media partners, like HBO, Showtime, ESPN, and MLB. The biggest integration is the incorporation of Beats 1 and Apple Music as the default music service. Like a lot of people, when I’m at home I stream most of my music through my soundbar connected to my TV. If Apple TV can make Apple Music the default music app for all of its users, that will be a big win for both products. Undoubtedly, the biggest addition to the new Apple TV is Siri. Apple’s voice-activated assistant has been around for years, but you will find you ask her different things when you are sitting on your couch. Similar to the Amazon Fire TV remote, you can execute voice commands and have Siri search for content to watch. But not only can you ask to “see action movies,” you can specify that you want James Bond films or only those that star Sean Connery. Within seconds, the requested set of programming appears at the bottom of the screen. You can also ask Siri to perform other tasks. When I asked “How are the Yankees doing?” she showed me their league standing in the lower third of the screen without stopping the video broadcast. You can also ask her to fast forward five, 10, or any number of minutes, which worked great. I was also able to confirm that when you ask her “What did they say” while watching a program she will go back 15 seconds. Very cool stuff. Of course, this is still Siri. She isn’t perfect, and it was pretty loud in the demo area. That said, I saw her struggle through some demos with less-than-perfect English speakers and still get their meaning. Clearly, Siri isn’t going to be restricted to your phone. The same way the Amazon Echo is executing voice-based commands in your home, Siri will soon be able to do the same. Although for now, you will need to press the button on the remote to turn on the microphone. 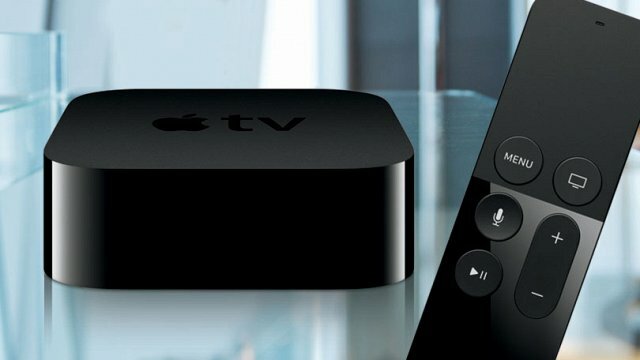 Apple TV always seemed like a bit of an afterthought in Apple’s super-profitable portfolio of products and services, but there is a case to be made that it is just as successful as any other media-streaming device on the market. It certainly has more users than the Amazon Fire TV , although the Roku and Chromecast offer a lot of the same functionality for less money. There are a lot more cord cutters out there now than there were in 2006 when the Apple TV launched. Apple events are always filled with hyperbole, but even after a short demo, I can agree that this is the best Apple TV ever made. We’ll soon find out if people will actually buy it.